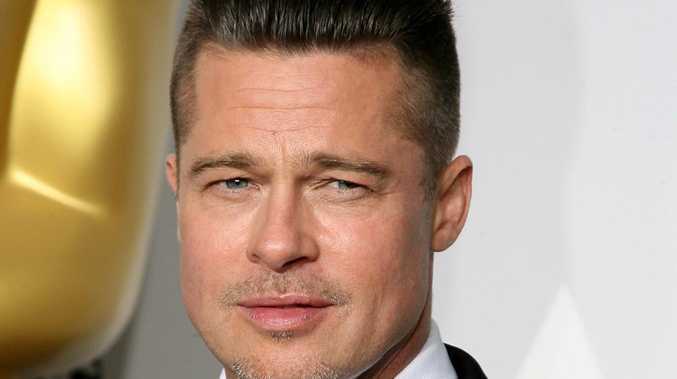 BRAD Pitt is offering 10 lucky fans the chance to spend an evening with him at an intimate charity event. The 'Moneyball' hunk has partnered with voucher website Groupon to give a select few the once-in-a-lifetime opportunity to meet the actor and watch performances from Kings of Leon and Bruno Mars. The event on May 17 is in aid of Brad's charity Make It Right, which builds homes and communities for people in need, and the winners will fly to New Orleans and stay for three nights in a suite at the W Hotel. They will be given VIP guest passes for the night at The Sugar Mill, with only 10 places available across the world, one of which will be from a free prize draw. Fans can get involved from April 22 by donating £15,000 to Make It Right to secure a place on a first come, first served basis, or enter the free draw, which is being run in the UK, France and Germany, from which one winner will be chosen at random on May 6. Brad - who raises six children with fiancee Angelina Jolie - formed the Make It Right foundation in 2007 with designer William McDonough to rebuild 150 safe, energy-efficient and affordable homes for families from New Orleans Lower 9th Ward who lost everything after Hurricane Katrina and has almost 100 homes have been completed so far.